Chamomile tea is easy on the stomach and relaxing for the mind and body; it's been used for centuries, in many cultures. If you're already a fan of this herbal delight, or if you've never given it a chance (even if you've had it before and didn't like it), try this Chamomile. 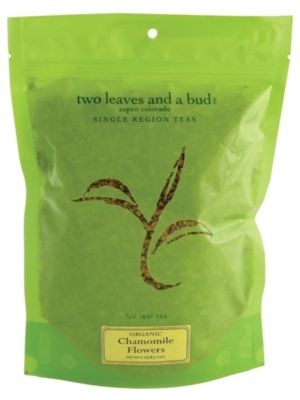 By Two Leaves Tea, you can count on the highest quality ingredients. When you open the packet and take a whiff, you'll smell a rich apple scent (in Greek, Kamai means apple) with soft honey notes. It's sweet, relaxing and the best Chamomile you'll ever have.